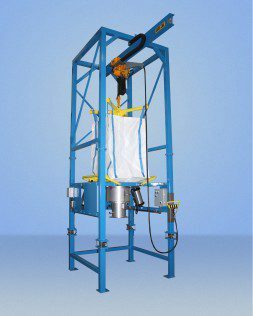 Material Master’s bulk bag discharging system simplifies discharging, maximises production efficiency, and enhances plant safety, MTS claims. 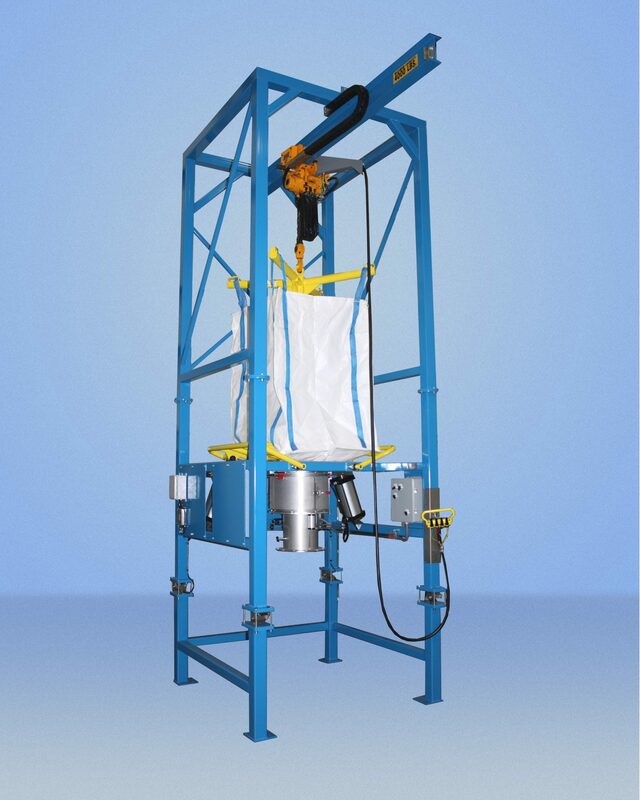 The unit is designed to discharge bulk bags of material in a hazardous location. It features a pneumatic chain hoist with motorised trolley and the Spider-Lift bag lifting frame. A heavy-duty ‘breaker bar’ Flo-Master bag massaging system provides positive material flow, while the Seal-Master bag spout access chamber allows optimal access to the bag discharge spout. A Flo-Lock slide gate provides for partial bag discharge and the Sure-Seal pneumatic bag spout clamping system results in dust-tight discharge, the company claims. A loss-in-weight scale system with summing box allows precise batching of material.